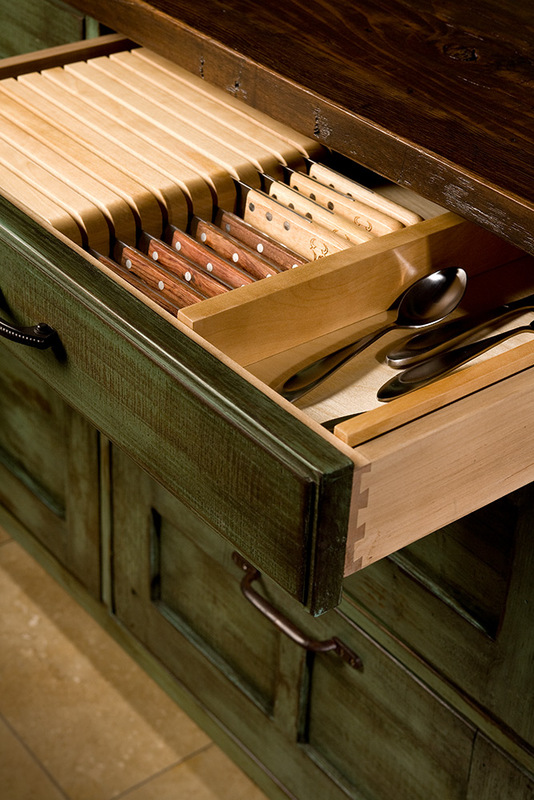 Customized drawer detail. 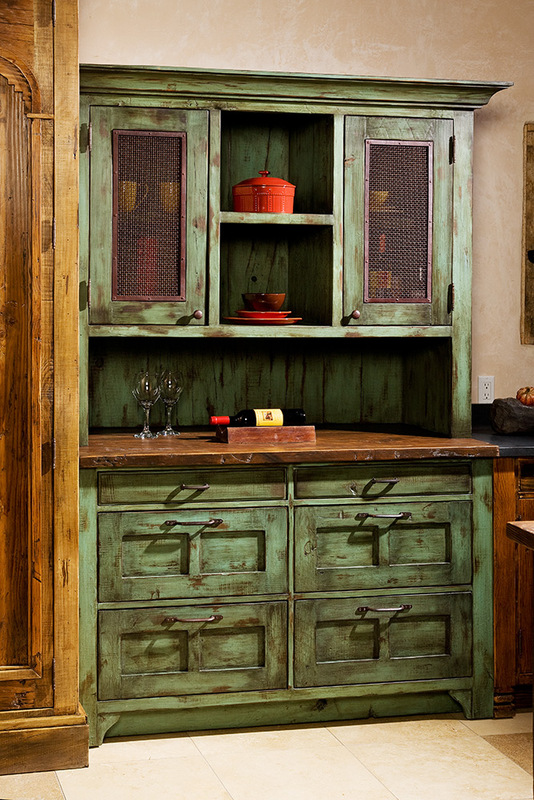 This cabinetry features hardwood dovetail construction and custom knife rack insert. 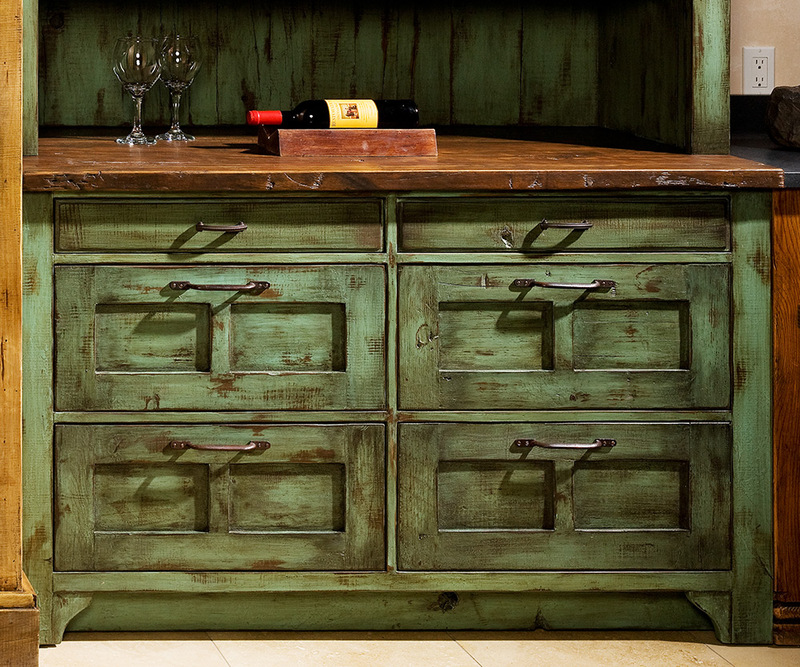 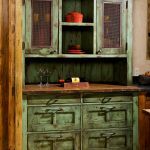 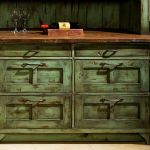 The hand rubbed patina completes the look of this old world kitchen remodel.